Since 2008 DAGADANA has triumphantly merged elements of Polish and Ukrainian culture through jazz, electronic, and world music. It all started with a jazz workshop in Cracow, where a mutual love for music has become a spark that ignited a great friendship and lead to the formation of the band. It will be their first concert in Slovenia. They will perform with th guest hungarian percussionist Péter Somos. Poland and Ukraine are neighbouring countries, both of Slavic origins, with similar languages and customs. When exploring these roots in search for musical inspirations, you will find a multitude of surprising similarities and differences that emphasize their uniqueness. This is exactly what you will find in the songs of DAGADANA, a band that attempts to blur the boundaries and build bridges that will connect both nations (since, as it is known, the dynamics between them would vary a lot). 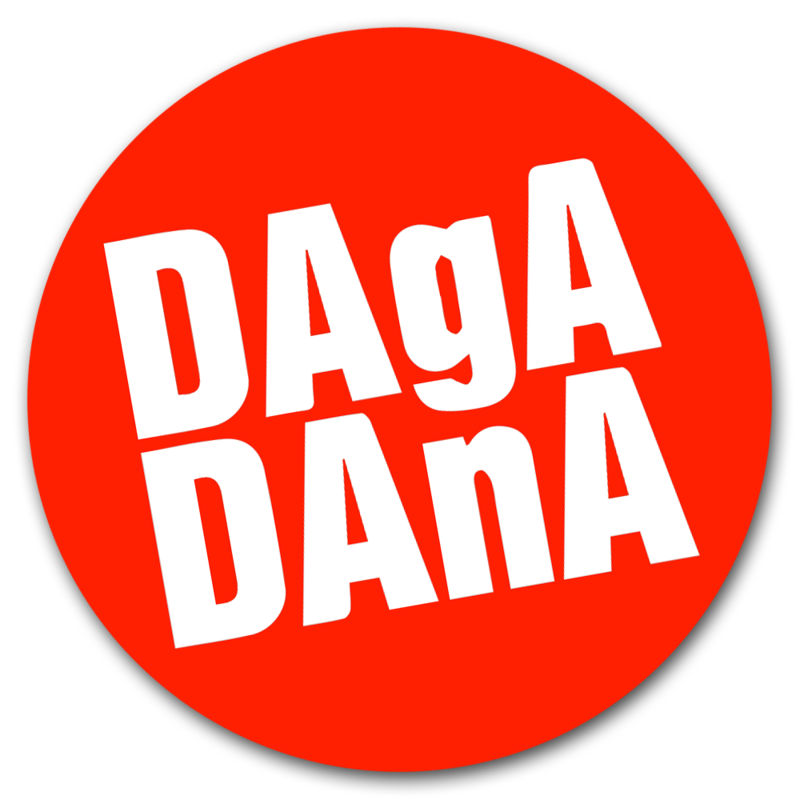 DAGADANA have found their inspiration in numerous sources: modern electronic, jazz, contemporary music, roots music found amongst their families and friends, at ethnic music workshops, as well as on the bookshelves of their friends and families. From the very beginning, their philosophy has been based on meeting and exchanging music and art experiences from all over the world while being the ambassadors of Polish and Ukrainian cultures. Thanks to that, you can experience their cooperation on records, or enjoy it at the concerts with local musicians in different parts of the world. One of these meetings has lead to the recording of the new album entitled “Meridian 68”. Folk songs from Poland and Ukraine constitute the very heart of the album. The Eastern influence is a result of an encounter with extraordinary musicians from North Lab band – Hassibagen from Inner Mongolia and Aiys Song from China – during DAGADANA’s visit to Beijing. Even though musicians didn’t know each other’s languages, they communicated easily through music. Prior to the release of its first album, DAGADANA had been invited to one of the biggest musical festivals in Europe – Open’er Festival. With their debut record “Maleńka” DAGADANA won the Fryderyk 2011 Award in the World Music Album of the Year category and was nominated for the Phonographic Debut of the Year. Their second album “Dlaczego nie” was nominated for the Fryderyk 2012 Award in the World Music category. The third record “List do Ciebie” (with poetry by Janusz Różewicz) was warmly praised in both musical and literary circles. The “Meridian 68” (2016) album hit #48 at the prestigious World Music Charts Europe and #14 at the Transglobal World Music Charts. Moreover, “Meridian 68” has been nominated for polish Grammy Award “Fryderyk 2016″ in “Roots Album of the Year” category. This album will be also released in China in 2017 and in Western Europe by JARO Medien in November 2017. DAGADANA played concerts in places such as Moroccan deserts, The Forbidden City in China, at the Brazilian Virada Cultural, and at numerous other spots, collecting excellent reviews from both the critics and the audiences. They have performed more than 500 concerts on four continents in 22 countries (Algieria, Austria, Brazil, Bulgaria, China, Czech Rebublic, France, Germany, Hungary, Indonesia, Malaysia, Moldova, Morocco, Poland, Romania, Serbia, Singapore, Slovakia, South Korea, Sweden, United Kingdom and Ukraine).